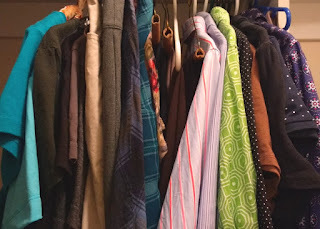 I've been reading the Project 333-- 33 wardrobe items for three months--blog for a few years now, without ever participating. This week, when a new challenge post popped up, I finally thought "why not?" and decided to take the plunge. 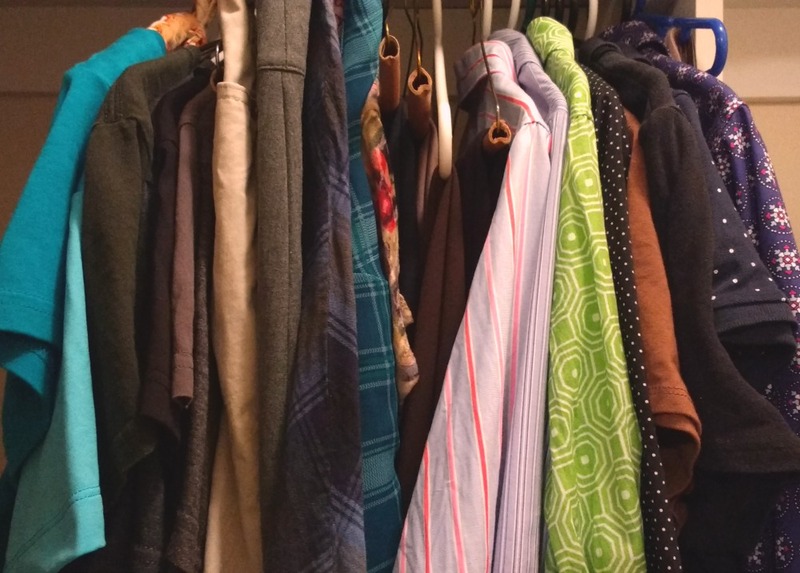 Part of why I've never participated before is that I've never seen the point--I don't have an overstuffed closet, and most of what I own is secondhand anyway. Now there were those couple years in Glasgow, where fast fashion at the end of the 90s was much cheaper than it is here in the U.S., that I went a bit overboard. And then I had to leave a great deal of it behind because I only had two suitcases to move back to the US with, and since then continuous sticker shock has curbed any remaining shopping impulse. So my closet, while full and generous by the standards of much of the world, is probably not one of your average American. I don't consider myself a minimalist, though. My craft drawers are stuffed full with supplies, I have knickknacks on every available surface, and my walls are more or less covered with bookshelves and artwork of varying degrees of aesthetic. Despite my penchant for occasionally attempting to empty the contents my house into someone else's, I still own way too much stuff to use the term "minimal" in any seriousness. hours, so this is just my wardrobe for July-September. Anyway! All that to say, here we go. I counted all the clothes and shoes I currently have out (cold-weather things are tucked away for the summer), excluding running and cycling clothes, underwear, and pjs (as per the Project 333 instructions), as well as everything in my mending/remaking drawer which is not currently wearable anyway, which brought me to a total of 67 items--admittedly, a higher number than I was expecting. Some were easy to put aside--two suits I no longer require for work but am keeping around in case of need, a couple dresses and a shrug I only wear to Broadway theatres (also kept in case of need! ), casual trousers that I didn't put away for the summer but am unlikely to be wearing outside any time soon. Others I had to more or less close my eyes and point. 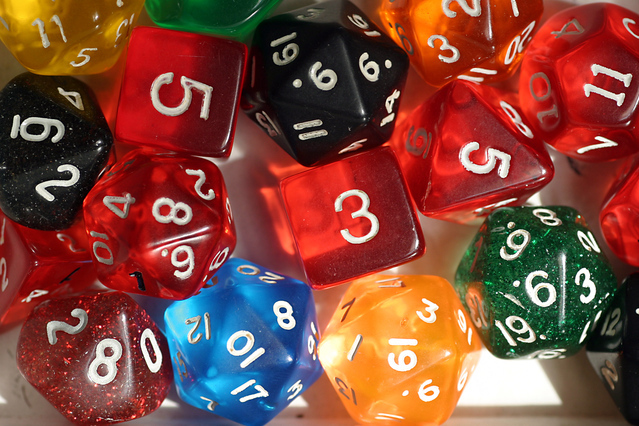 Have you ever tried any of these wardrobe challenges? How did it go? There's one traffic sign that I hate more than almost any others. It adds more inconvenience to the road users who already bear the most inconvenience anyway, and does not a freaking thing to improve safety. Which one is it? This one. A plague upon the idiot inventor of this sign. So here's a little background for folks who may not spend their spare time studying transportation stuff: Every intersection is a legal crosswalk. Every one. Even where a side street meets a major thoroughfare--every one of those corners is a legal crosswalk. It doesn't matter if it has lines for pedestrians or not; if two streets come together, pedestrians are allowed to cross there. Which is one reason why residential streets, especially those with short blocks, have low speed limits, and why drivers should always observe those speed limits even if they don't feel like it. The only time an intersection is not a legal crosswalk is if it is specifically marked with one of these signs. 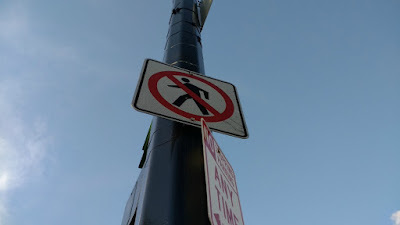 Circumstances when this sign makes sense do exist--for example, there's an intersection I cross at least twice a week where the street goes from two-way traffic to one-way traffic, and there's a "no pedestrian" sign on the two-way side. (But not, it should be noted, on the cross street, where the traffic is two-way in both directions, so... huh?) The argument can be made that this intersection already has sufficient confusion for motorists that taking out one leg of pedestrian crossing makes it a touch easier. To which I say: meh. If that's what it takes, I suppose, but these situations are rare and as such, the signs should be used sparingly. However, I'm pretty sure Cincinnati got a bunch of these signs in a sale and just puts them up whenever they have a traffic crew sitting around bored for a few minutes. ("Here, y'all run out and put up one of these signs. Doesn't matter where.") I see them in high-pedestrian areas all the time, which makes no sense--why force more people to cross the street just to cross the street? A HAWK beacon in my beloved Austin. Source. Unfortunately, the Manual of Uniform Traffic Control Devices, which gives very detailed advice on crosswalks, traffic signals, and my favourite combination of the two, the Pedestrian Hybrid Beacon (or HAWK Beacon) (I seriously get very excited when I see those things in action. Just ask Jenna), is much more skimpy in its advice for use of the no pedestrian sign, which is what allows Cincinnati to put them up wherever they darn well please. 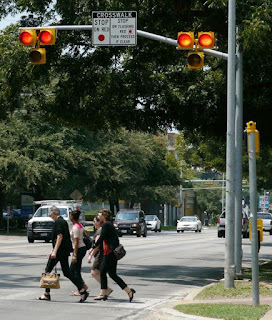 Which forces pedestrians, already stuck with long "don't walk" periods and short "walk" periods, to endure up to three light cycles instead of just one to get across one street. Drivers wouldn't put up with that crap, and they're sitting in cushioned boxes with entertainment and climate control. People on foot shouldn't be expected to go through that much rigmarole just to get where they're going, either. Take down most of those dumb signs and get serious about really protecting pedestrians, Cincinnati. There are plenty of ways to make a city a better place for pedestrians, but this is not one of them. 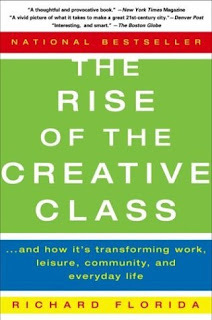 I'm reading The Rise of the Creative Class, and apparently the creative class has excellent eyesight that can easily read such small print. I'd like to at least get to 40 before I require bifocals, but it seems my need for large-print books has already arrived. Anyway. 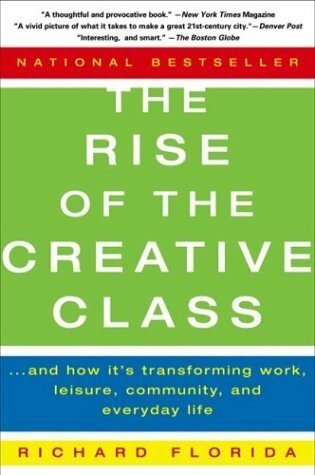 Early in the book, Mr. Florida quotes, "Creativity is favored by an intellect that has been enriched with diverse experiences and perspectives." Something that comes up a lot among those of us who dream of one day being published authors is travel--the idea that unless a writer travels a lot, it's harder to come up with things to write about. This came up in my Facebook memories yesterday. I think it might add "learn something"
or "see something" or just "go outside." They all work together when it's time to create. To invite creativity into one's life is to invite joy and fun and wonder. But it also invites in risk--what if I fail? What if this isn't really who I am? What if I hate it? And the adrenaline rush that comes with pushing the edges of who we are always might end in an unfun crash that leaves us sprawling on the floor eating chocolates and wondering why we ever thought this was a good idea in the first place. But the rewards of getting it right after many failures, of a kind word from a stranger at just the right moment, of having that "ah-ha" of suddenly seeing the world--or my own neighborhood--with fresh eyes... those rewards are why we push ourselves and try again. Those rewards make the curiosity and the courage required to seek out experiences and perspectives unlike our own so worth it. And they top up that courage to go out and do it again and again and again. And that's worth getting out of bed for every morning and setting out to see what a new day will bring. What are you experiencing this week? My running the last few weeks has been more theoretical than literal, or to put it more bluntly, I can't remember when I last my running shoes on. I have a fairly detailed log, so of course I could just look, but that's not quite the same thing as being able to remember it. This is irritating to me not only because I kind of need running to keep my synapses firing in good working order instead of short-circuiting sideways to "unbearable," but also because I'm wasting this nice summer weather that I love quite a lot. It's not like I've forgotten how much I hate running in the cold, but maybe it's that not-running became such an easy go-to that now I'm having a hard time getting my brain back out of that rut I dug. Sigh. I wonder how long I'm allowed to not-do something while still calling myself a practitioner? A few weeks off running, when there's no race on the horizon, is easy enough to correct as long as I go out and do it eventually. When I think of all the other creative acts in my life (yes, I totally count running as a creative act) that come and go and come again--I don't know how comfortable I am calling myself a quilter, for instance, when the last quilts I finished were at least 10 years ago. The last cross-stitch I made was 2 1/2 years ago, and it didn't turn out as well as I had hoped it would (so much so that I told the recipients that I was totes cool with them shoving it in a drawer and never looking at it again. They laughed, but I don't know what they really did with it). Or is everything like marathoning? 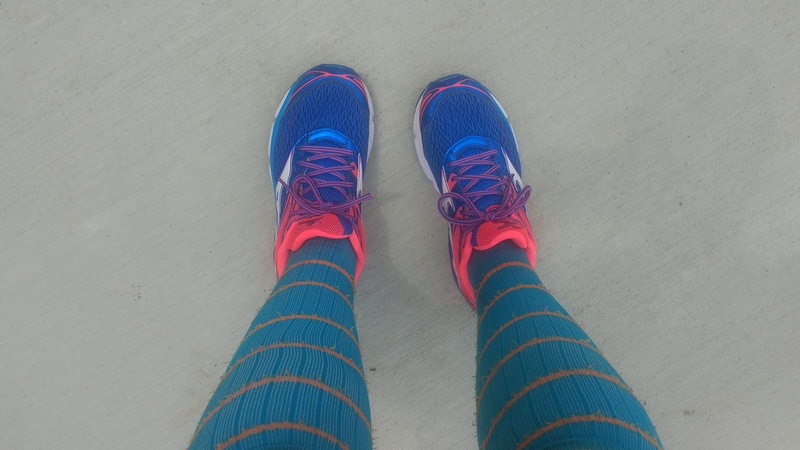 I'll never stop being a marathoner, even if I never run one again--does that also apply to being a crocheter? A public speaker? A cookie maker? One thing all these skills have in common is that the skills become rusty with lack of use. One thing they all have in common is they can always be picked up again when the time is right. And one great thing about Mondays, as I say as often as possible, is that it's a perfect time to begin anew. 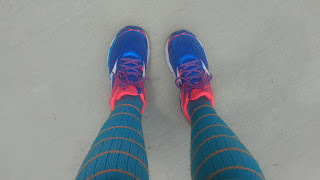 So that's why I'm headed out this morning for the short run that's listed on my plan, just to make sure that I remember how to put one foot in front of another. What will you begin again today? These are Charles Rennie Mackintosh font & roses. Because when in doubt, use someone else's creation, I guess? 131 blog posts (out of 211 days of the year thus far), which is more than I've managed in some entire years. 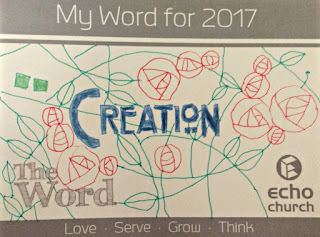 I'm not sure I would count all these things as creation, any other year, but I'm counting them now as I go through my days looking for opportunities to create and attempting to see the everyday with fresh eyes. 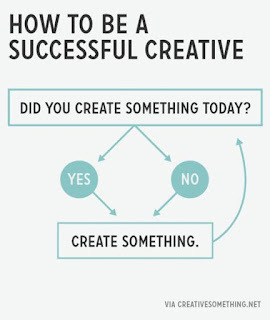 What are you creating today? 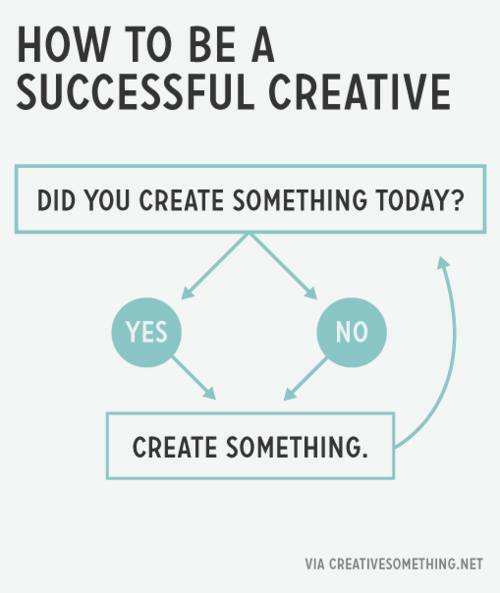 Alternatively: what's something you're trying this year, and how is it going? After I blogged about (metaphorical) weeds potentially choking out the more desirable things of life, more thoughts arrived, as they are wont to do. For instance: What is a weed? Broadly speaking, anything I don't want growing in my garden is a weed. But why is it that we plant daisies on purpose but not their cousins the dandelions? 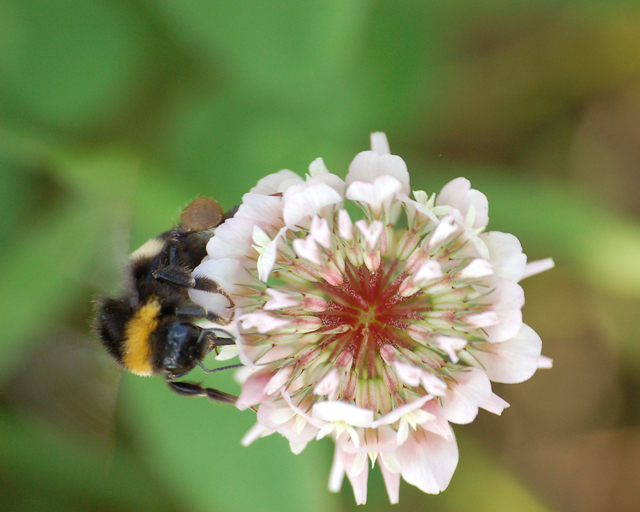 What characteristic does clover have that makes it a nuisance rather than a welcome friend? Some folks see these and race for the weed killer. Context plays a role, of course. My parents' house is surrounded by farmland, so my mother can't grow morning glories, which are aggressive and will attatch to anything taller than themselves, like handy stalks of corn. They're a nuisance to farmers not only because of potential lost crops, but also because their vines will wrap around equipment during harvest and cause breakages. Morning glories are gorgeous and wonderful in the city or in the forest. In farmlands, they're destructive. By the same token, a good thing in my life may be a weed in yours, and vice versa. I guess the problems really begin when we look round at other people's gardens and see them proudly cultivating their weeds. "Why would anyone want to grow that?" I wonder, or worse, "They let the weeds overrun their flowers," when in fact said weeds are the flowers, and I just can't see it. And from there it's only a short step to seeing the presence of weeds as the presence of a moral failing and the absence of virtue. This plays out quite literally in places where some folks are, shall we say, zealously devoted to the care and maintenance of their grass while the neighbours are, shall we say, less devoted. And so the dandelion seeds float from one lawn to another, while one resident is oblivious and another is indignant. I'm convinced this is why HOAs happened. For some folks, it was surely either that or start a dandelion war. But in our lives the weeds and flowers are less literal and the misunderstandings that arise even more fraught. No one wants anything they've spent time and careful attention on--be it a school accomplishment, or a work project, or a new skill, or a creative endeavour--to be treated like a weed. And I hope no one wants to be the person who treats others' precious flowers with such disregard. (Please keep that in mind the next time you're tempted to ask, "What are you going to do with that??" of your college-aged relatives.) But it happens to the best of us from time to time, and flowers get trampled and hearts get bruised. What to do? Apologize, with all sincerity. Forgive (even though it takes time). Learn from the mistake and use that new knowledge to see with different eyes. Stretch the definition of a flower and shrink the definition of a weed, and see where that takes you. Cultivating great things in my own life is important, but to recognize it in someone else's life is beautiful. There's a little saying that tends to pop up a lot in social media land, often after a news story hits about a massive gaffe, but it also worms its way into everyday life. I've said it many times, and maybe you have, too. But these days just the mere hint of it is enough for me to roll my eyes and stop listening, and I'm writing this in part to understand myself why I'm so annoyed by one little platitude. What is it? "There are two sides to every story." Nice, right? Good way to remember that maybe the victim and perpetrator aren't as clear-cut as we were first led to believe. Good way to suspend judgment until all the facts are in. Good way to exercise the voice of reason in a volatile situation. Here's the thing: it's not true. Now I'm sure some folks have rolled their eyes and run off already. Maybe others are trying to pinpoint which thing in the news that I'm talking about. (I couldn't possibly pick one, so don't bother.) Someone is already writing their heated response to my obvious foolishness in their head. And all those reactions are exactly why the cute little saying isn't true, because there are waaaaaaay more than two sides to every story. Humans are complicated, y'all. We are big bundles of messy emotions and motivations and intentions. Think about all the times in Fiddler on the Roof when Tevye mutters to himself, "On the other hand... but on the other hand... but on the other hand..." It gets a laugh, every time, at how quickly he runs out of hands. Until the time when he finally explodes, "There IS no other hand!" and then it's tragic, not funny. Saying "There are two sides," when in fact there are many more sides, is a cop-out. It can be a stand-in for "I'm not choosing sides yet" or for "I have an unpopular opinion about this" or for "I think you're wrong but I don't yet have proof" or even for "Maybe this isn't worth spending our time arguing about" without really conveying any kind of meaning. At best, it sounds wise and reassuring without saying anything at all. At worst, it sounds wise and reassuring while being a passive-aggressive disagreement that's hard to refute, because who wants to disagree with both sides' right to their own agency? rate more sides than that. Source: Armin Hanisch on freeimages.com. The problem with this kind of "wisdom" is that we already know we have more than two sides going on inside ourselves at all times; why on earth would a conflict outside ourselves have only two sides? I may think a problem is with a coworker (although please note that I have no such problems at the moment), when really it's much deeper than that, with roots in our separate interpretations of company policy, and our relationships with the boss or with other coworkers, and with resonances of how a situation was handled in the dim and distant past that we may not even realize are still bouncing off the office walls. So one day when it all comes to a head, the simplistic "two sides" may bring temporary harmony, but it doesn't address the roots. It's nice to jump onto Facebook with platitudes and try to be a voice of reason. It's great to get comments about how levelheaded one's interpretation is of the headline du jour. It even feels good to score some points against a hotheaded friend who chooses sides at the outset and then turns out to have read the situation incorrectly. But it's also good to remember that human interactions aren't equations with one correct answer. Let's not pretend every outrage that hits the evening news can be solved by hashing out the two sides until we declare a victor (and then, as is the wont of humans, go on fiercely defending the side we liked better ad infinitum). Withholding judgment until more facts are available is wise. It's okay not to know who was right and who was wrong. Not saying so--biting one's tongue (or fingers, since they do the typing)--is harder when the arguments are piling on and you suspect other people are wrong. But "there are two sides to every story" is still a cop-out, especially if it really means "I'm not ready to rationally discuss this." If I'm that interested and that invested in getting to the truth, saying "there are two sides" and leaving it at that is not going to get me there. Post title is an homage to the Mathnet episode "The Case of the Galling Stones," which is about a gem shaped like a dodecahedron. I'm still a huge Mathnet fan, and while I loved Kate Monday, I adored Pat Tuesday. I don't know what causes road rage. I do know what I'd like to do to people who act on their road rage. But studying the root causes of this behaviour is well outside my areas of interest. However, I do have my suspicions, every time I hear someone complain bitterly about heavy traffic or road construction or both. (Or, of course, hear them complain about having to slow down for a few seconds to safely pass a person on a bike. Here's a little tip that should be no surprise to anyone--if you complain to me about that, expect an earful. No one has ever made that mistake twice.) It seems some folks expect an easy-flowing, obstacle-free drive to everywhere, at all hours of the day, every day. You're going to get stuck. It's going to happen. Source: Lonnie Bradley on freeimages.com. My friends, the automobile industry has sold us a bill of goods. And of course they have--it's in the interest of their own pockets to convince people that getting from A to B is easy peasy. No matter how many cupholders an SUV has, images of it stuck in a colossal traffic jam are not going to get many vehicles rolling out of the showroom. As with so many other areas of our collective lives, it may be time to lower our expectations. No one is always going to get every green light. No street is exempt from folks crashing their cars into things and causing a snarl. Traffic lights fail, natural disasters don't care about your route to work, roads crumble and have to be repaired. 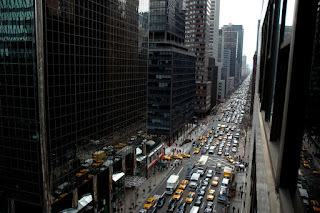 And if that weren't enough, when the majority of Americans own cars and the majority of Americans drive alone and the majority of Americans go to work at about the same time of day, traffic can't possibly flow right along. No matter how badly we want it to. No matter what it used to be like just a couple years ago. And as the saying goes, you aren't sitting in traffic--you are traffic. If all of this is making your blood pressure rise just thinking about it, then maybe it's time to reconsider what you expect from your car. What do you get to control? The temperature, the music, who comes along with you. What can't you control? How many other people want to go the same place you do. What can you control? Your reaction to delays and detours and things generally going wrong. Cars aren't teleporters. They aren't magic. Other road users aren't your enemies. They're just people also trying to get on with their lives. And if you get into your car knowing ahead of time that something on your route will go awry, expecting that delays will happen and jams will get jammy, then maybe your reaction to it happening will be less outraged surprise and more "good thing I'm enjoying this podcast I'm listening to." And a little less rage goes a long way toward a pleasant trip. But, this is what the group is reading, and I don't hate it so far. In this week's chapter I ran across this bit which I (mostly) appreciated, as a person who grows things: "Time grows the seeds that are planted, watered, and fertilized. Plant beauty, grow beauty. Plant thorns, grow thorns." That first sentence? I love it. She nailed it. She nailed it so hard I wish she'd pushed the metaphor on and reminded us that the planting and watering are work that require constant attention to make sure the beautiful things that were planted continue to grow and thrive. Because the truth is that you don't have to plant weeds for them to grow. They sneak in, very much uninvited. In fact, they don't even sneak--they push up through the ground with brazen confidence, unfurling their leaves and growing at a breakneck pace. Because the weeds are racing the gardener, trying to pollinate before she notices their presence and brings them to a speedy end. If you want to plant beauty in your life--a new skill, or a friendship, or an exercise program, or a tidy house, or whatever your thing is--you have to pull the weeds all the time that you're nurturing the thing you want to grow. that her weeds were waist-high. after I dug it up. Of course, Ms. TerKeurst isn't wrong about the thorns. Anyone who wants a weedy or thorny life can have one practically for the asking. It's a lot less work. And, IMO, a lot less worth living. I dug some very real, non-metaphorical weeds out of my Grandma's flower beds last weekend. She doesn't grow flowers any longer, but she doesn't want weeds there, either. 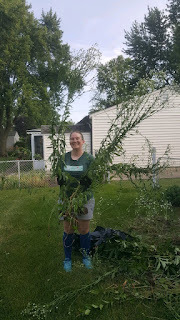 So all summer long she gets outside on nice days and digs up the weeds that have taken root, all the while muttering about how she just dug this one up by the roots last week. Now, Grandma has lived a long life filled with hard work, so I don't blame her for not wanting to go to the bother of flowers at this stage of the game, but she knows as well as I and Ms. TerKeurst do the truth about weeds--the best way to keep them out is to grow the thing you want instead. Have I mentioned that I live on top of a hill? 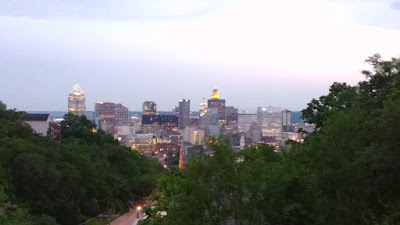 A lot of places in Cincinnati are on top of hills, of course, and I live in one of them. Some of the ways up are steepish, others not so much. All of them are sweaty. There are some advantages to all these hills, of course. So it was that one day I had gone for a bit of a ramble round and was returning home via the steepest of the possible directions from my house. The hill before mine is not as high, but from the top of it I looked across to see that not only was I not level with the top of the next hill, but also that the top of the hill was obscured by trees, which made it look even worse than it really is. As I headed down and the next hill loomed ever larger, it continued to look steeper the closer I got to the bottom, and it was almost hard to believe this was the same hill I've been easily up and down dozens of times. Guess what made the hill flatten out and not look so awful? Going up it, of course. Tackling something up close, taking it step by step and inch by inch, is rarely so insurmountable as trying to take in the whole thing at once. (Alas, those times when up close really is worse--well, that's why we have chocolates and friends. Friends with chocolates, if at all possible.) As Samwise Gamgee so wisely put it, "It's the job that's never started as takes longest to finish." And a hill will never get smaller from standing at the bottom staring up at it. I'm just going to go apply this thought to as many things as possible before I forget again. 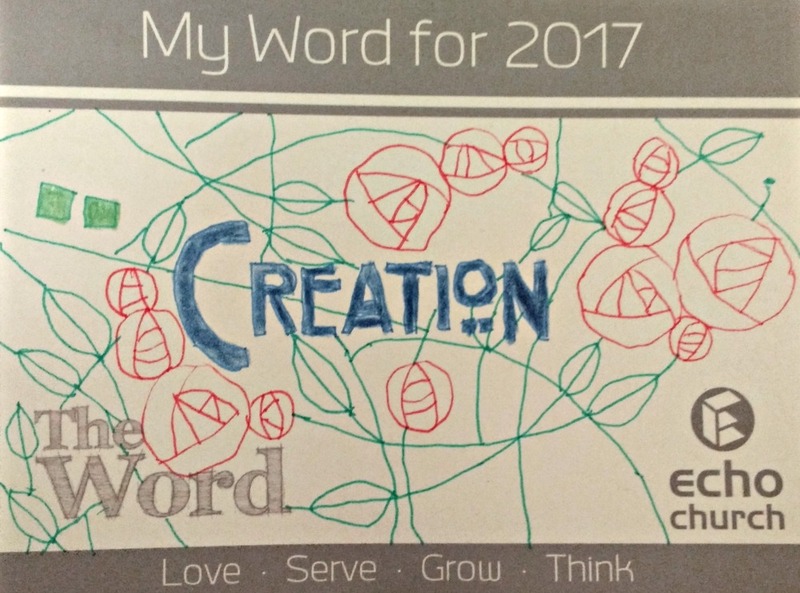 A few Sundays ago, the minister made an offhand remark about the local landfill during the sermon. Note to everyone: offhand remarks in my presence tend to turn into blog posts. Ye be warned, if you weren't already. So the local landfill is colloquially called "Mount Rumpke," because Cincinnatians are a delightful group of quirky weirdos. This was the first time I had heard the preferred nomenclature, though, and it came along with a comment about how the speaker doesn't really know how landfills work. Which, naturally, activated the "Oooh, oooh! This is a thing I know!" section of my brain (and let's be honest, that's like 90% of the brain cells that aren't dedicated to things like breathing and circulation). "But how could you possibly know about landfills, Su? Your areas of expertise are bikes and books." 'Tis true, but I am descended from a man who loves nothing more than to talk for hours about the things he knows (shut up), and said man has worked for a landfill for over 40 years. (He'll tell you 50, if you ask. But he was not working there as a 10-year-old.) So here's what he's managed to teach me in that time--what I've managed to hang onto without firsthand knowledge of working in one, that is. If you imagine a landfill to be a giant mound of trash, with carrion birds circling overhead and plague-bearing rats headed in and out, you're thinking of an old-style open dump, the sort of which have not existed in the U.S. (not legally, anyway) since the late 70s. A sanitary landfill is exactly as the name describes: earth is excavated from site so the rubbish can be packed in and the floor and walls are lined to keep the nasty stuff in. The area will be divided into cells, and as rubbish trucks arrive, they're directed to empty in/near the cell. 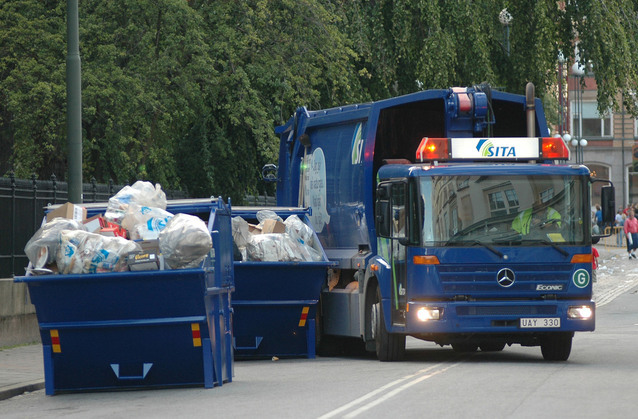 Large and heavy equipment will pack rubbish into its cell as tightly as possible, and once that cell is full, it's covered back up with dirt and packed in some more. Then the next cell gets its turn, and so on, because Americans produce quite a lot of rubbish. Which is why, if I ever hear anyone complaining about a landfill, my first question is about what they're doing to cut back on the trash they produce. No one's hands are clean when it comes to waste. It has to go somewhere after it goes on the truck. Image source: Niklas Johnsson on freeimages.com. Of course, the planet has its own way of dealing with things, and just because rubbish isn't meant to break down or leak in a sanitary landfill, it still does, just very slowly. Rain finds its way in through the tiniest of cracks, earthworms say, "Hey, what's this?" and basically the planet acts a bit offended at having a bunch of useless crap shoved in it. Which is why, after a landfill is closed, it has to be monitored for at least 30 years before anything else can be done on top of it, in case something decides to shift. And to answer the other question brought up in church that Sunday: Mount Rumpke is expected to be operational until at least 2022. Tl;dr: Don't put anything in the trash that is biodegradable or recyclable. Better for the planet, better for your community, and if your local rubbish collection charges by the size of the container you use--better for your wallet. Today would normally be my "What I Read" post, but as I look at my Goodreads list I see that I finished not a single book in May. Good grief. I started a whole bunch, but finished? Nope. That 2017 Goodreads Challenge is not going so well. So, here's one of the things I'm reading. 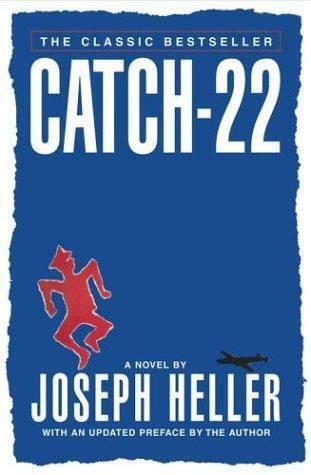 I'm on my second try of Catch-22, and while it's hilarious, it's not hard to remember why I put it down the first time. It's a book that requires a lot of concentration and is only pretending to be a light read. 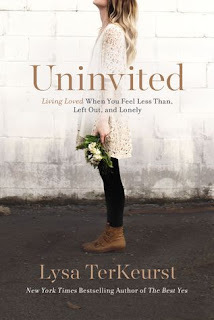 I have a few other books out from the library that I'd also like to read, so maybe I'll end up taking this one back if I run out of time before I run out of book. I have no objections to picking it up a third time. And this is hardly the first book that it's taken me a few false starts to get through. Les Misérables took two tries. Little Women took at least three. (Also, it's one of the free public domain books I loaded onto my mother's tablet a few months back, and on my last trip home she told me she was having trouble getting through it. There are a few parts of that book that are a serious slog for the 21st-century reader.) Lord of the Rings took a couple trips to my house before I finished it, although that was more due to all the things I had going on in my life right then that were crowding out my reading time. And even the entire Chronicles of Narnia series was a seven-year adventure of me not being ready for some of the later books even though I loved the early ones--I started them in the 5th grade and didn't finish until a couple months before high school graduation. More recently, I took Wicked back to the library after my second attempt to read it through. Will I ever pick it up again? Maybe someday, if I'm in the right frame of mind. I know there are folks who feel that once a book is started, they must finish it, even ones they aren't enjoying. I have too many books on my to-read list to be that person, but if you are one, please hear this: if you're struggling, if you're not enjoying that book, if there are other things you'd like to read right now--it's okay to put that book down. Stick a little bookmark in it and put it back on your shelf to give your brain a break. Write it down somewhere so you remember to go back to it and then take it back to your library. Loan it to a friend who might enjoy it more than you do. The book isn't going away, and it will always be ready for you when you're ready for it. Those books I mentioned before? Little Women, Les Mis, LOTR, Narnia? They're all all my favourites list now. I've re-read every single one of them, some of them multiple times, and my relationship with those stories is none the worse for my having taken my time to befriend them in the first place. So if I do return Catch-22 still unread, it will be with no regrets and the knowledge that it will come to me again when I'm ready. What's something you've had to put to one side to await a different season in your life?